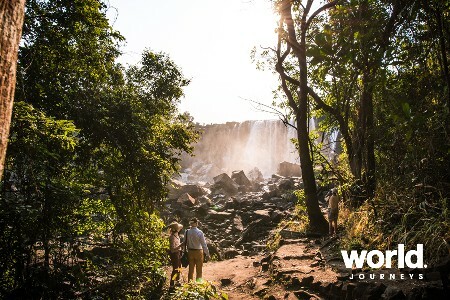 Fast becoming the “hotspot” of all safari destinations, Tanzania should be visited sooner rather than later! 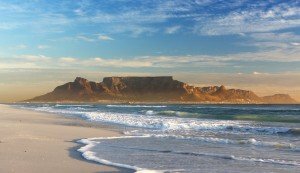 With a range of mobile camping safaris, first class lodgings and more recently superb deluxe eco-friendly tented camps and lodges there is something for any budget and more. 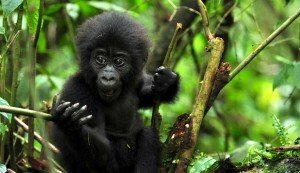 Highlights include the must not miss Serengeti National Park with its enormous herds of plains game and gorgeous scenery, the Ngorongoro Crater nicknamed the world’s largest wild “zoo”, the snowy peaks of Africa’s highest peak, Mt Kilimanjaro, and Amboseli National Park lying in the valley enjoying the views. Capturing images of giraffe or elephant moseying along with the mountain in the background at sunset are definitely for the library! 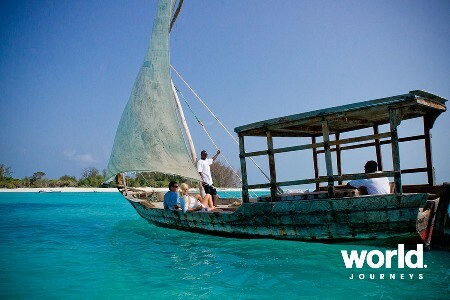 Not forgetting that Tanzania is also home to the exotic island of Zanzibar, where ancient Spice trade route history and fantastic beaches combine – a great conclusion to anyone’s safari. 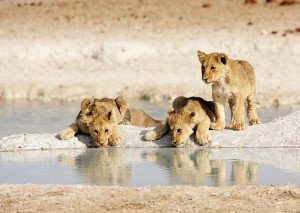 Tanzania is almost a year round destinations, save for March to May which is the rainy season and can put a damper on afternoon game drives. But if you are watching the pennies, then this is the cheapest time to visit, being low season. 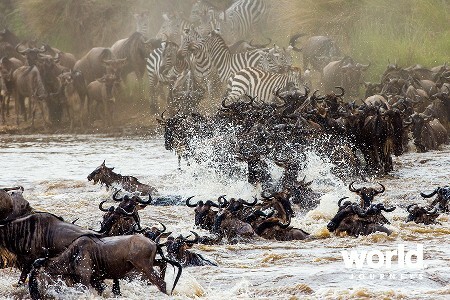 The prime time to visit for safari is July through September when it is dry season and massive herds of wildebeest and other plains game are moving in their thousands within the enormous expanse of the Serengeti and between the Masai Mara in Kenya. 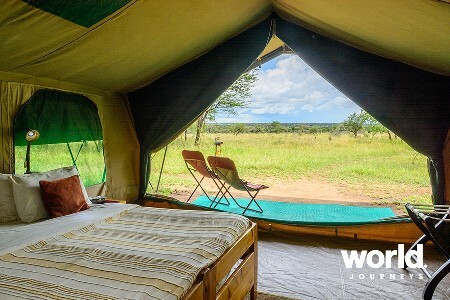 World Journeys recommend ‘mobile’ luxury camps which enable you to move with the migration, depending on the month of travel. If ascending Mt Kilimanjaro is your aim, then January to March, or between June and October are the best times. My second visit to Tanzania has been long awaited…and finally this year I returned. I have vowed not to leave it that long for the next visit. 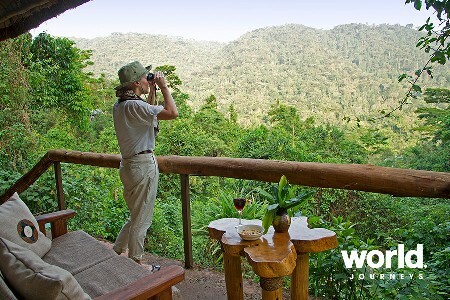 First off I visited the Lake Manyara Tree Lodge, where the wildlife is abundant with lots of plains game and a variety of birdlife. The rooms have extra large beds, well appointed, stunning bathroom and outdoor shower of course! What I loved about Manyara is the scenery – it’s ever changing and the Rift Valley escarpment is breathtaking. 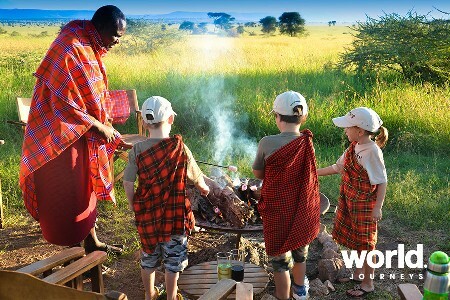 From Manyara, you head to the world famous ‘living zoo’ Ngorongoro Crater a couple of hours drive away. On the first game drive we saw hyena, jackal, wildebeest, zebra, elephants and lions. The crater is a beautiful place and the Ngorongoro Crater Lodge was all I expected and more – quirky but not over the top – stunning rooms – the bubble bath awaiting my return from the game drive was the icing on the cake! 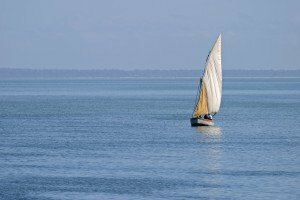 Why we love it Tanzania boasts (as it should!) 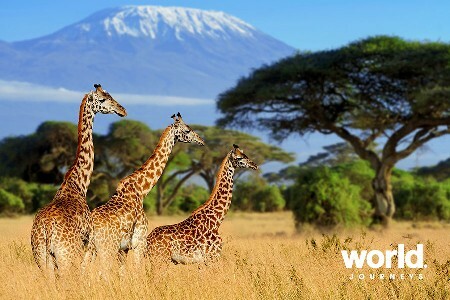 three of the major highlights of Africa within its scenic borders – Serengeti National Park, Mount Kilimanjaro and Ngorongoro Crater. The Serengeti is a land of wide open plains and Acacia trees, home to huge herds of wildlife and the ensuing predators that follow them. 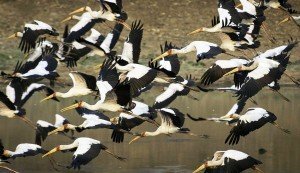 Of course one of its biggest attractions is the great migration in which you can view the largest mass movement of wildlife on the planet. 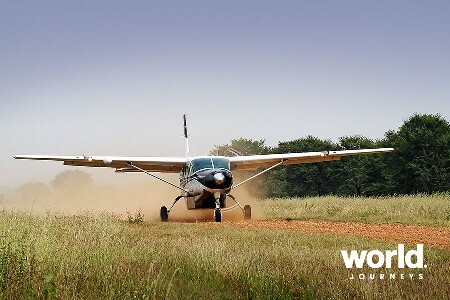 Your chances of viewing a possibly deadly chase is very high on safari in Tanzania! 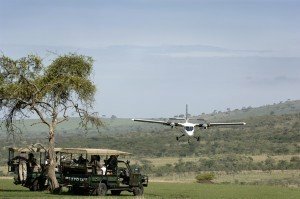 The Serengeti is also one of the best places to enjoy a hot air balloon ride in all Africa. 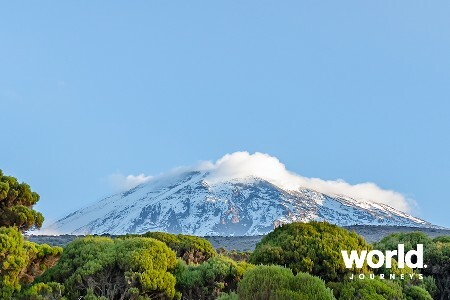 Mount Kilimanjaro of course for the more adventurous among is actually considered a “hike” rather than a mountain climb and there are several different routes to choose to the top depending on your level of fitness and whether you choose tents or huts. We have “the” experts when it comes to organising your climb so speak to us for more information. 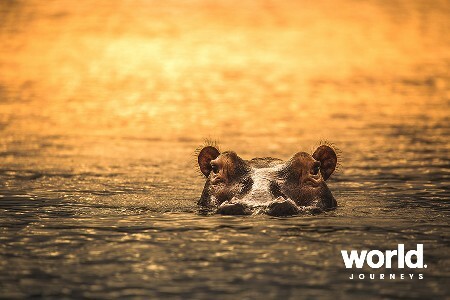 The world’s so called largest “living zoo” is the Ngorongoro Crater – inside which zebra, wildebeest and other wildlife graze all day alongside lion and rhino. 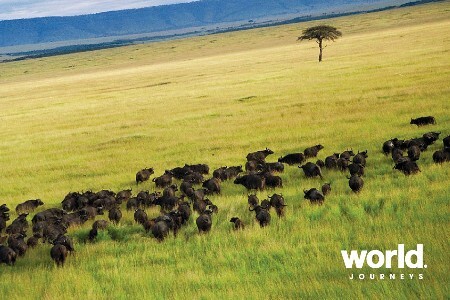 Atop the crater rim, the Masai tend to their herds as they have done for centuries alongside the wildlife. 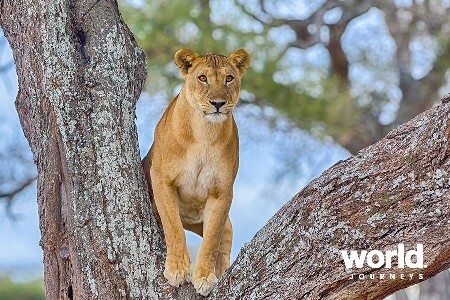 Weather Tanzania’s most pleasant season for travelling is during June through September when the days are warm and mild on the safari circuit, though July and August are the height of the peak season. The main rainy season is March to May when it does rain daily and this can hamper the roads if you are travelling distances on safari. The shorter and less eventful rainy season is November/December with short, light showers. 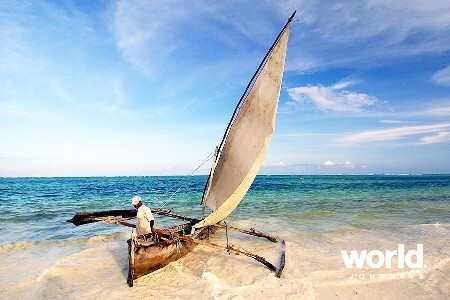 Social customs & quirks Two of the most well known cultures of Tanzania are the Masai tribe and the Swahili of the Zanzibar archipelago. The Masai inhabit the northern part of the country, live off the land and very traditional to their culture still to this day. 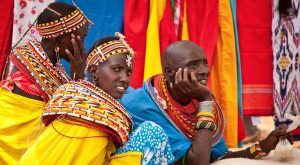 Cultural tourism is certainly very popular and visits to Masai villages can be incorporated into your safari in Tanzania. The male elder is the boss of the Masai society and once young warriors become elders they may then take on a wife and begin a family of his own. 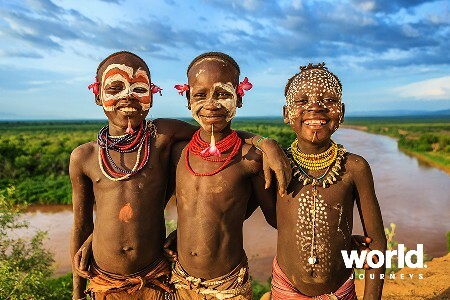 The Swahili people are a great deal different to the Masai – a heady mix of backgrounds including Arab, Indian and Bantu with the Indian Ocean as their work and playground. Cuisine on the “Spice Islands” is as you can imagine – coconut, curries, spices and seafood making up the most mouth-watering dishes! Festivals & events A lot of the festivities in Tanzania are centred in Zanzibar, with its middle eastern influences such as the Eid al-Fitr (Ramadan) and Eid al-Haj (pilgrimage to Mecca). Also taking place there is the Mwaka Kogwa which is the Persian New Year celebration around 23rd or 24th of July. Singing, dancing, jousting and feasting all take place mainly in and around the village of Makunduchi. 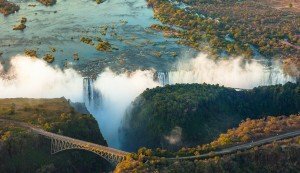 Health* There are no compulsory health requirements on entering Tanzania, although if you are travelling from a Yellow Fever infected country you will be required to have a vaccination certificate. Malaria precautions are highly recommended, particularly during and after the rainy season and you should consult your health practitioner for the best advice on which precautions to take. 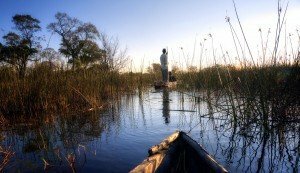 A fabulous itinerary for all the family to enjoy staying in a colonial farmhouse and luxury tents. What a fabulous trip you organised for us! As usual everything went like clockwork, with not a single hiccup during the entire three weeks. The Olive Grove was the perfect place to reach after all those flights. Wilderness looked after us very well at Little Kulala and Ongava. We even had lions in the camp! The waterhole there is wonderful to watch. We had a lovely close up with a white rhino and her calf. The sands of the desert were beautiful, and Ange you were right in that Little Kulala was the best option there. Intercontinental at O.R.Airport was an outstanding hotel. We were very impressed with the hotel and the service there. 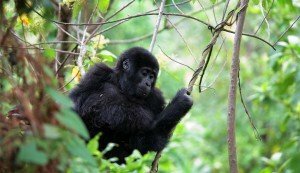 In Rwanda, it goes without saying what a wonderful experience the Gorillas were. the Silverback Lodge was perfect . Very happy that we took your advice! In Tanzania, once again andBeyond lifted the bar. Lake Manyara was a dream spot. We had an amazing game drive there and just loved the accommodation. Our guide was outstanding and we all fell in love with our butler. Even managed to see the Lions in the trees. Ngorongoro Crater Lodge; what can we say. 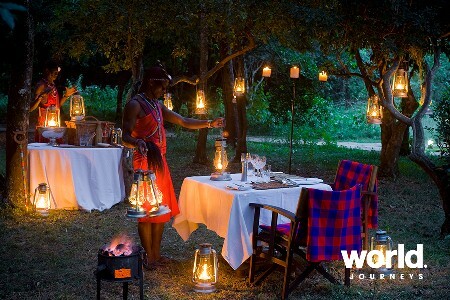 It is certainly an experience.The staff put on a beautiful 'rose petal' dinner and Masai show which was very special. Our butler there was a real character. Grumeti Under Canvas was a lovely way to finish with the tents. The staff there were very helpful and we had an excellent guide. He drove us to the central Serengeti so that we could see the Great Migration and we finally saw a leopard! Finally the Legendary Lodge in Arusha was legendary!! We could have settled in for several days and just missed our flight home! So once again, a huge thank you for all the work you have put into our trip. It was perfect.